Warriors from all over the waking world have been trapped in the Dreamlands, where they must battle it out for eternity in Quake Champions. Facing off in ancient Arenas with no hope of escape, the Champions are forever locked in an epic kill-or-be-killed struggle. Today we’re releasing the first in a series of new videos showcasing one such Arena. Be sure to keep an eye out for more Champion and Arena videos in the coming months. 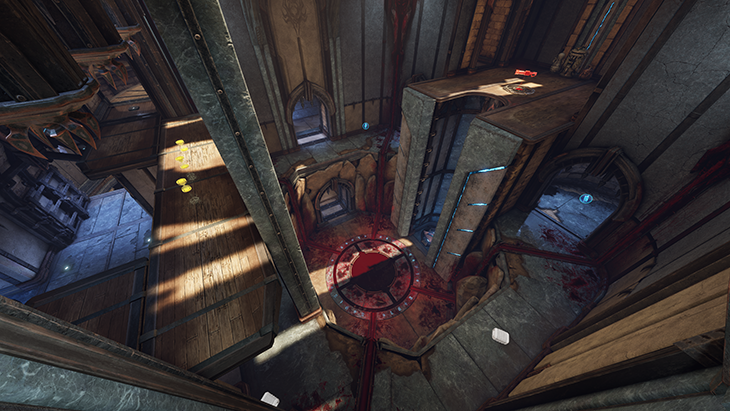 Based on The Camping Grounds map from Quake III Arena, Blood Covenant is a modern reimagining of a classic fan-favorite, complete with familiar sections like the long Jump Pad to the Rocket Launcher, the Railgun ledge, and the tightly spaced Pillars, which will require careful maneuvering for all Champions. 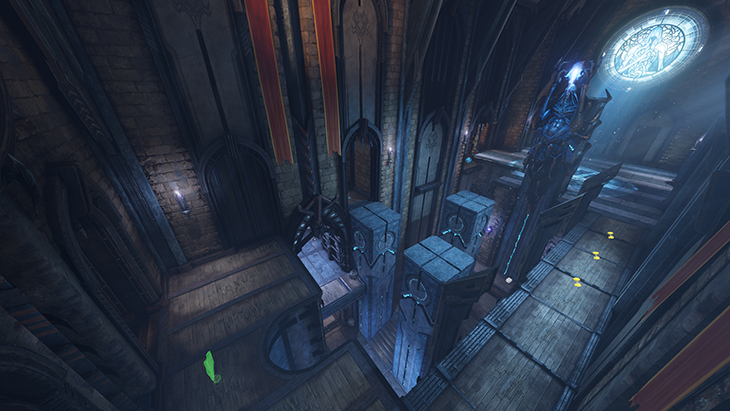 But Blood Covenant will contain plenty of new secrets and surprises, too. If you find yourself in need of a little health, try standing in the giant blood pool in the center of the Arena. Sure, it’s macabre, but you’ll get some of that much-desired health back. Just don’t linger for too long, as you’re in a very vulnerable position when you’re in the blood pool. If you’re less worried about health, and more concerned about finding a good, tactical position in the map, check out the Pillar room. One of the pillars stands much taller than the rest, and would certainly be a good spot for Ranger to toss his Dire Orb and gain the high ground. You’ll be able to experience Blood Covenant and more for yourself during the upcoming Closed Beta. Sign up now at the new official site. Quake Champions will also be available to try out this weekend in the Bethesda booth (numbers 18007 and 20007) at PAX East.